Your Thanksgiving dinner will not be complete without sharing these jokes! What kind of music did the Pilgrims like? Plymouth Rock! Why did the guys let the sweet potato join the band? So they could have a yam session! What is the most musical part of the turkey? The drumsticks! This Thanksgiving, I have almost too many blessings to count. Being able to work with all of you who love dulcimers, and having the opportunity to share my thoughts about dulcimering every week, are definitely two of them. We appreciate the friendship and confidence you have shown in us by connecting with Dulcimer Crossing. 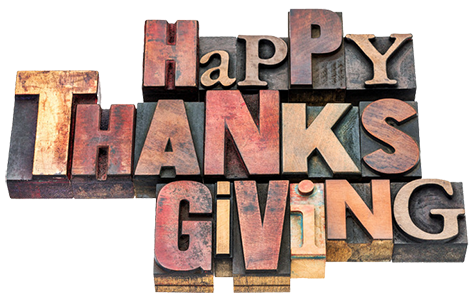 Steve and I send our heartfelt Thanksgiving wishes across the miles from our houses to yours. 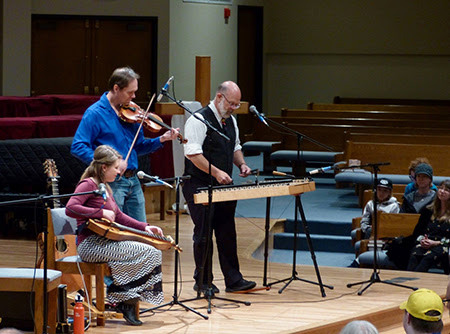 May your homes be filled with laughter, happiness, and (of course) lots of dulcimer music. With the weather turning colder, have you noticed a dramatic change in your dulcimer’s tuning? Well, a stringed instrument is a living thing. Since it is made out of organic materials, the woods, strings, and glues used when it was built interact with the atmosphere around them. And while these materials certainly work together to create beautiful music, they are also responsible for the reason that stringed instruments go out of tune, especially with sudden temperature changes. Try to keep the temperature constant in the room(s) where you store your instruments. Likewise, humidity will affect your dulcimers. Wood gains and loses moisture until it’s in sync with the air around it. When the air is humid, a piece of wood will swell as it gains moisture. When the air is dry, the wood will shrink as it loses moisture. This process happens fairly quickly with thin pieces of wood, such as dulcimer soundboards and backs, and if they get too dry, they can crack. If you have started running the furnace already, the climate in the house may have become very dry. The widely accepted safe range for wooden musical instruments is between about 40% and 60% relative humidity. The only way to know if you’re in that range is to measure it by keeping a hygrometer near your instrument. (I found inexpensive ones on Amazon.) Also, I suggest that you consider purchasing a room and/or case humidifier for the good health of your precious instruments.